I have had a lifelong love affair with Disney. Since I was a child I have loved watching Disney films and have fond memories of watching them over the years. I still love watching Disney films and now that I have Bug I have the best excuse to indulge my love of Disney and snuggle up on the sofa with Bug and watch Disney films. Bug seems to be following his mummy’s footsteps and is a huge fan of Disney already. He already has a few favourite Disney films that he adores watching again and again, he loves Cars, Monsters Inc. and Toy Story. As Bug loves Disney he was very excited when he watched Disney’s video showing the World’s first digital Disney Parade as an all-star cast of much loved Disney characters ran amok across London, turning the capital into their personal playground. Bug was overjoyed watching the video especially when he caught sight of his favourite characters, Mike Wazowski and Sulley (Monsters Inc. and Monsters University) as they paraded across London. Joining Mike and Sulley, the star spangled parade also featured legendary Disney characters Buzz Lightyear and Jessie (Toy Story), Jack Sparrow and Davy Jones (Pirates of the Caribbean), Mr and Mrs Incredible (The Incredibles) and The Lone Ranger and Tonto (The Lone Ranger). Disney’s star-studded digital parade marked the arrival of Disney Infinity, an exciting new gaming universe where players can delve into a virtual toy box and play with their favourite Disney characters and create their own adventures. 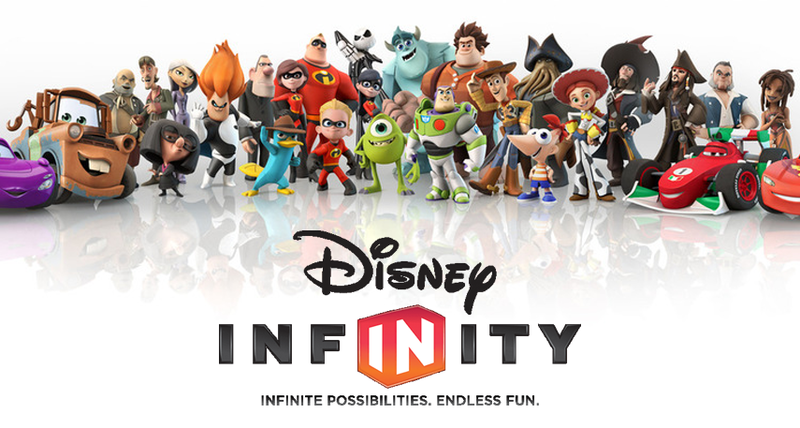 Disney Infinity is available on Xbox 360, Playstation 3, Wii, Wii U and Nintendo 3DS and is available in shops now. I am sure Disney Infinity will be a hit with Disney fans and be included on many Christmas lists this year.